Mohenjo Daro along with Baalbek is one of the oldest settlements that have been preserved, in ruins, in the territory of present-day Pakistan. Mohenjo Daro is located in the south of Modern Pakistan in the Sindh Province. The ancient settlement that completely reversed the age of the knowledge of Indian ethnicity, stands on the right bank of Indus River. Since 1980 Mohenjo Daro is included in the list of World Heritage sites by UNESCO. Built between 4 or 5 thousand years ago and abandoned 3700 years BC, Mohenjo Daro was one of the largest cities in Indus Valley Civilization. Scientists long believed that Indian civilization dates back no earlier than 500 BC, so only about 200 years before the invasion of Alexander the Great on the subcontinent. With the discovery of Mohenjo Daro, a century ago, this view has changed radically. In essence, Mohenjo Daro are extremely complicated constructed cities. It was opened together with another ancient city - Harappa, which is also located in this territory of today's Pakistan. Literally translated, the name Mohenjo Daro means "mound of the dead." Amazing in these settlements is that they are highly developed, which makes the leading archaeologists to believe that before being built, they were conceived as a whole. Mohenjo Daro is a remarkable early example of urban planning and the sewage system of the ancient village, built thousands of years ago is largely superior to those of modern cities in Pakistan, India and some Asian countries. Mohenjo Daro was the largest village in the valley of the River Indus. In it lived at least 35, 000 people from the Harrapan Civilization, which is comparable to those in ancient Mesopotamia and Egypt. Most likely, residents of Mohenjo Daro lived in houses made of thick bricks, reaching a maximum of three storeys. It is amazing that there are bathrooms in the homes, that are connected to sewers. 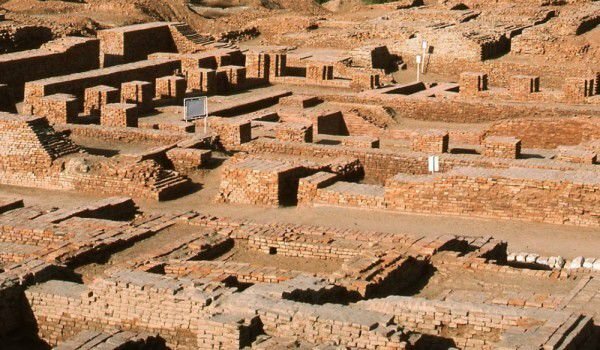 Many scientists believe that the people that have built Mohenjo Daro civilization had urban planning, which not only ahead of its time, but was at the level of thousands of years in the future. Moreover, the inhabitants of ancient settlements traded with other cultures. Evidence for this comes from Mohenjo Daro ornaments found, decorated with stones brought from distant lands. This tells the scientists that this ancient civilization knew and loved art. It is not completely clear what happened to the people Harrapa, but they have abandoned village around 1700 BC Among the hypotheses are natural disaster like flood or movement of tectonic plates that formed the Himalayas and caused a huge and devastating earthquake. Some hypotheses about the disappearance of the inhabitants of Mohenjo Daro relate to their conquest of other cultures. Excavation begins of the settlement between the years 1922-1927 under the leadership of Banarjee, continues in the coming decades, and today archaeologists continue to discover new artifacts. Among the valuable exhibits are a miniature bronze statue of a naked woman, known as the dancing girl, found in 1926, a chart was found on the seals of Mohenjo Daro, as a solar symbol wheel.